To Interface to the control module, simply connect the USB cable. Software has been developed to interface with a PC or RMS board. When the USBisoVM is running but in waiting mode, the POWER LED should be solid on, and the STATUS LED should be blinking fast. When the control module does a read of any voltmeter, the voltmeter that is currently being read has its READ LED blink on. 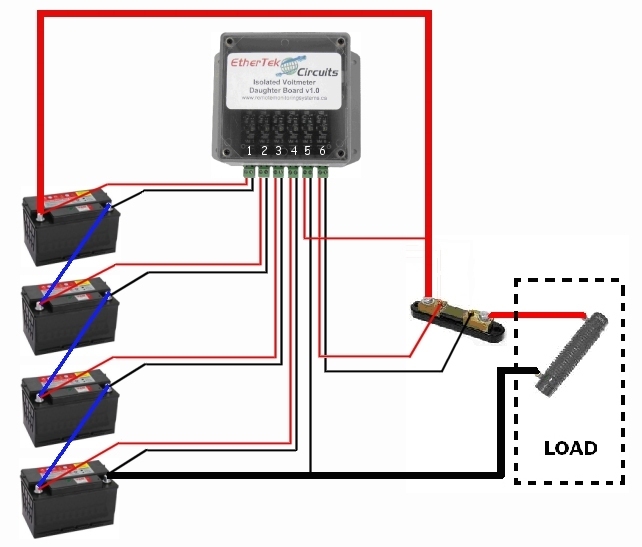 EtherTek Circuits started its business in 2001. Ever since we have provided remote monitoring and control solutions for Remote Tower Sites, the Oil & Gas industry, Telemetry systems for Agriculture, Municipalities, Mines, Solar Farms, Hydro Plants, and the Military. ©2019 - EtherTek Circuits - All Rights Reserved.